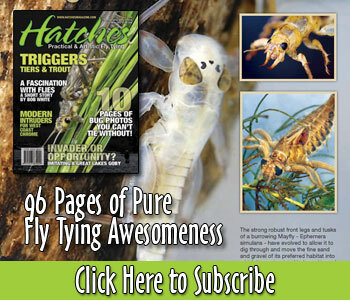 Are you a fly shop or Web site who wants to carry Hatches Magazine? 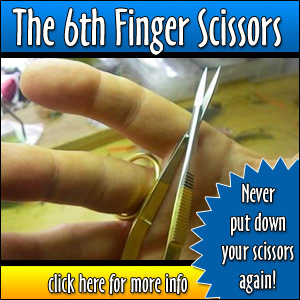 Please click here to contact our Distribution Manager. U.S.A. California Fishermans Spot 14411 Burbank Blvd. U.S.A. Indiana Wildcat Creek Outfitters 40 N. Main St.
U.S.A. Maryland Great Feathers Fly Shop 14824 York Rd. U.S.A. Texas Tailwaters Fly Fishing Co. 2416 McKinney Ave.
U.S.A. Wisconsin Tight Lines Fly Fishing 1534 Mid Valley Dr.
U.S.A. Wisconsin The Fly Fishers, Inc. 9617 W Greenfield Ave.
Canada Alberta The Crowsnest Angler Fly Shop & Guide Service P.O. Box 400, 22614 – 27th. Ave.
Canada British Columbia Michael & Young 10484 137 St.
Canada Ontario Natural Sports 1572 Victoria St. N.